With the New Approach, the EU has incorporated European standardisation in its regulatory approach to improve the free movement of goods. Such a New Approach does not exist for services. Nevertheless, a significant number of European services standards have been made. 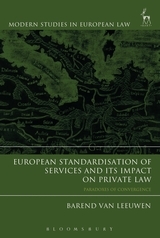 This book focuses on European standardisation of services and its impact on private law. Two services sectors are analysed: the healthcare sector and the tourism sector. The core chapters of the book contain a number of case studies based on empirical research in these sectors. 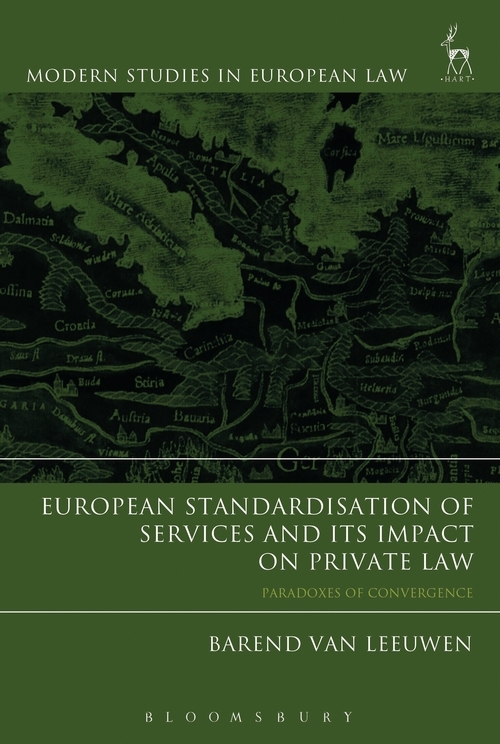 The first part discusses how European services standards interact with existing legal regulation at the European and national level. It is shown that, at the European level, there is no clear legal framework in which European services standards are adopted. This has an impact on their application in private law, which is the main theme of the second part of the book. Moreover, there is a real risk that European services standards create obstacles to free movement. This will prevent their successful application in private law. Barend van Leeuwen is Assistant Professor in European Law at Durham University.